February is Library Lovers Month | Back to Basics Learning Dynamics, Inc.
It’s Library Lovers Month and if you’re a bibliophile, you know that libraries are sanctuaries away from the hustle and bustle of everyday life, as well as places where you can be surrounded by likeminded people with the desire to acquire knowledge. 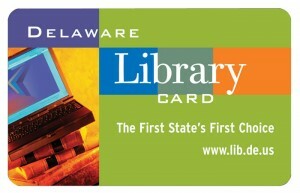 In Delaware, there are 33 public libraries, eight academic libraries, and seven special libraries in the Delaware Library Catalog. These are all publicly-funded libraries and have some remarkable collections just waiting to be discovered! A complete list is available HERE. Of course, libraries offer more than just books. For example, did you know that there are also movies, music, magazines, newspapers, Internet access, programs, workshops, community collaborations, and more? So, this month, dust off that library card and celebrate Library Lovers Month!